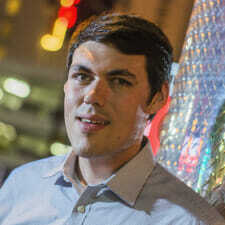 Riley was the reporter and researcher for Nevada PolitiFact during the 2016 campaign season. Prior to that, he was a legislative reporter for the Associated Press. Riley’s byline has appeared in the Los Angeles Times, the Las Vegas Sun, and the Reno Gazette-Journal. He’s also done freelance work for Reuters, the Washington Post, Reno Magazine, and Reno News & Review. In 2014, the University of Nevada-Reno (UNR) journalism school named Riley its Business Journalism Student of the Year. He graduated from UNR. He was also editor-in-chief of his high school newspaper, the Ponderosa Paw Print. Born and raised in northern California, he has two younger brothers, one who plays D1 college basketball at Western Illinois and one who is in the U.S. Navy. Riley’s hobbies include cooking, reading, and binge-watching Netflix. He plans to adopt a dog after the 2017 Nevada legislative session.